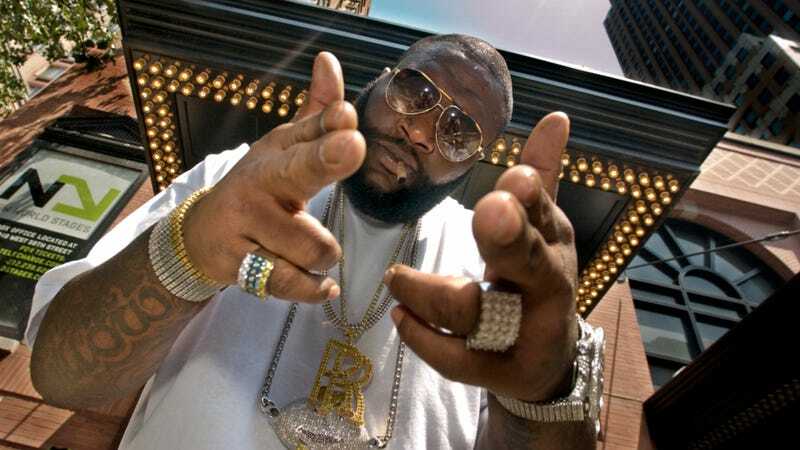 Did Someone Shoot At Rick Ross' Rolls Royce? What in most places would be considered outrageous is, in Florida, perfectly normal. That's why it's not terribly surprising that someone took pot shots at a Rolls Royce, and that the car then crashed into a building. The scene unfolded in broad daylight near Ft. Lauderdale's Floridian Diner, where patrons said they heard about 15 gunshots and saw Rick Ross in the Rolls Royce. One of the bullets poked a hole in the Floridian's front window — damaging a cooler — but no one was injured. That the Rick Ross Rolls Royce (say that four times fast) shooting/crash happened outside a place named the Floridian seems apt. If we've learned anything about what it means to be a Floridian, it's to expect the absurd on any given day. Also his choice of cars seems to match up with his music.